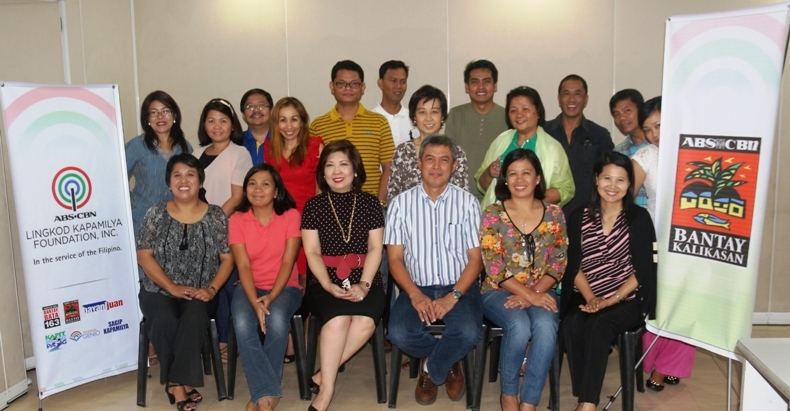 Bantay Kalikasan, the environmental arm of the ABS-CBN Lingkod Kapamilya Foundation, Inc., conducted a two-day workshop on Total Economic Valuation, in partnership with a team of expert consultants and representatives from three state colleges and universities- Bicol University, Mindoro State College of Agriculture and Technology and Palawan State University. Ms. Clarissa Ocampo, ALKFI Managing Director (seated, third from left) and Ms. Norie Garcia, BK Program Director (seated, first from left), highlight the importance of partnership and collaboration in performing research studies in areas affected by the mining industry. The research findings will serve as bases for the preparation of policy briefs that aim to support and enhance the proposed Senate Bill 3126 of Sen. Sergio Osmeña III and likewise the advocacy initiatives of BK and other stakeholders.